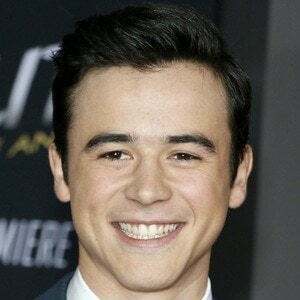 Nominated in the category of Best Performance in a TV Series - Leading Young Actor at the 2014 Young Artist Awards for his role in Spooksville, he landed a recurring role in the hit series Nashville that same year. At the age of 11, he made his professional acting debut in a stage production called Plainsong. He was cast in the Tony Award-winning Billy Elliot the Musical in 2008. He was born to a British father named Mark and an American mother. He has a younger brother named Cade. He starred on Spooksville opposite Katie Douglas.